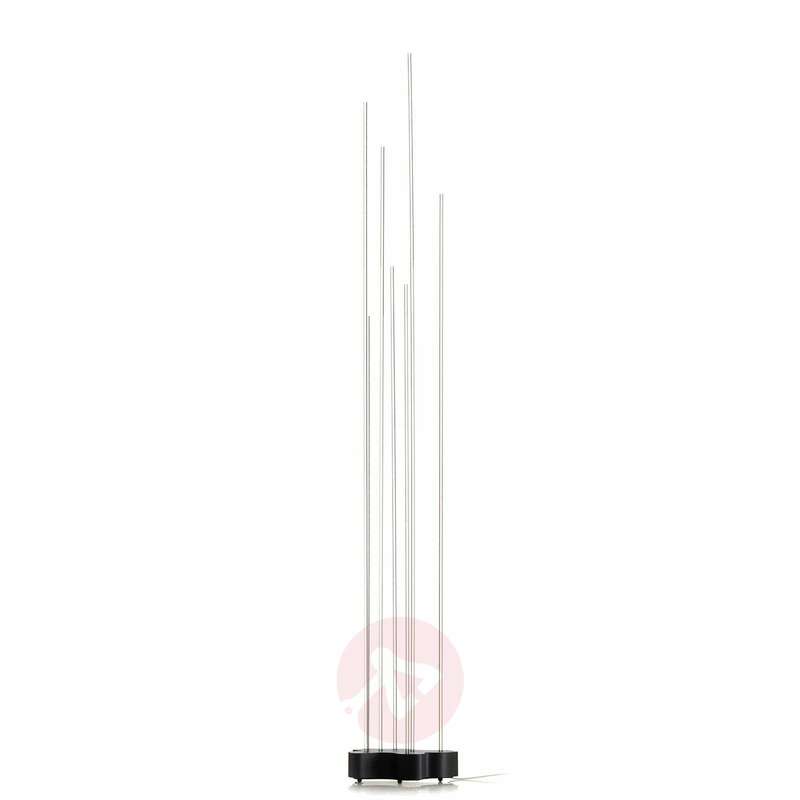 Reeds is a fitting name for this designer floor lamp by German architect and designer Klaus Begasse, as its LED-illuminated rods really give the impression of reeds. 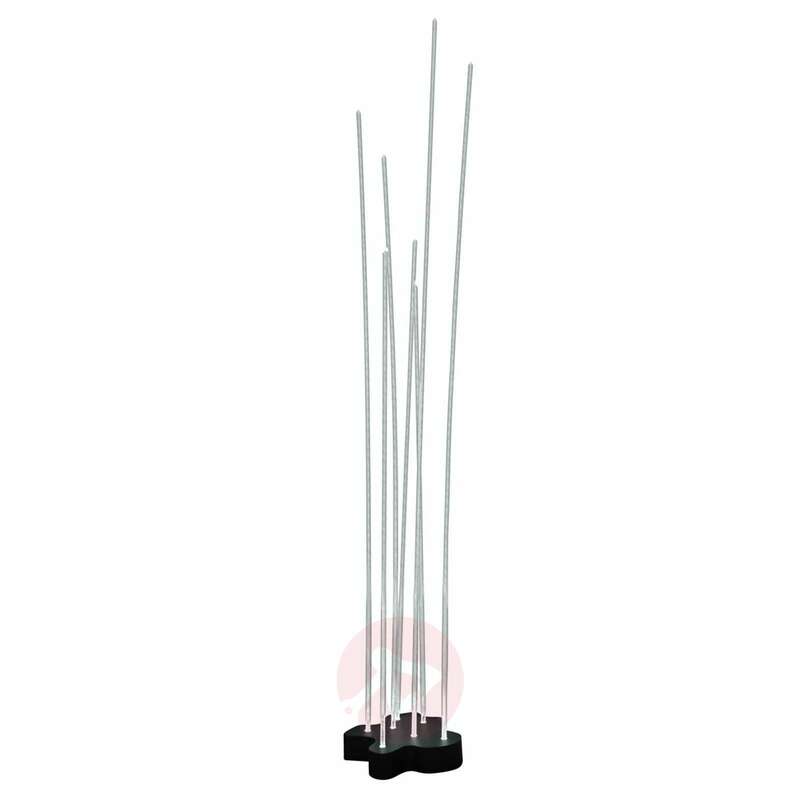 Seven different lengths of transparent plastic rods are mounted on an anthracite base. The rods are illuminated from inside with warm white LEDs. Part of the light shines around the pedestal on the floor. 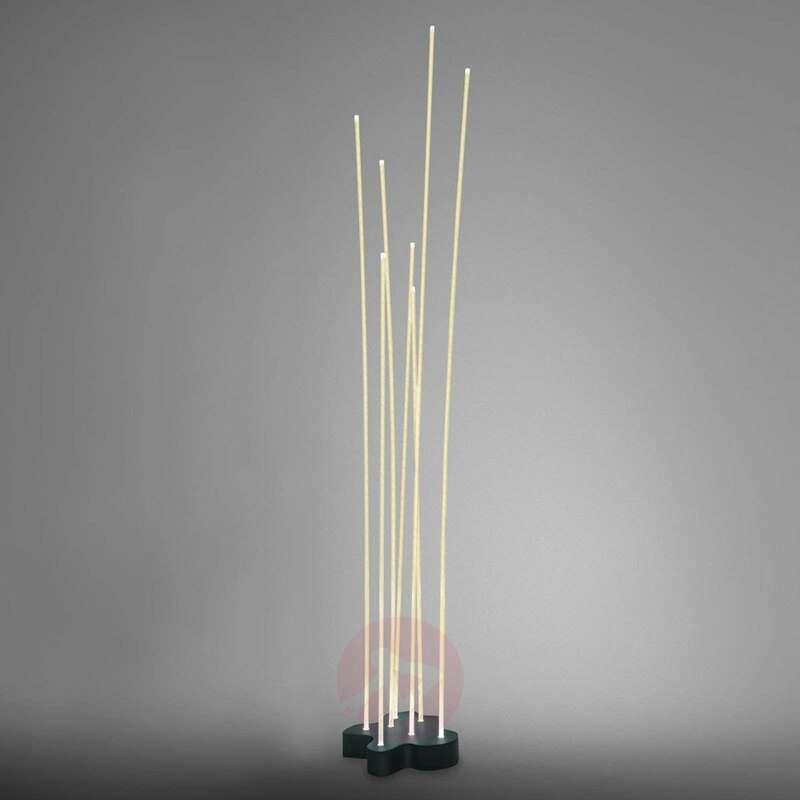 The Reeds floor lamp is at home in living rooms and prestigious spaces, where it sets atmospheric and stylish accents as an illuminated decorative element. Artemide is considered one of the world's leading manufacturers of designer lighting. Based in Pregnana near Milan, the company was founded in 1960 by Ernesto Gismondi. The structure of the company includes not only a global sales network but also five production facilities, two glass factories and a research and innovation centre with test laboratories.